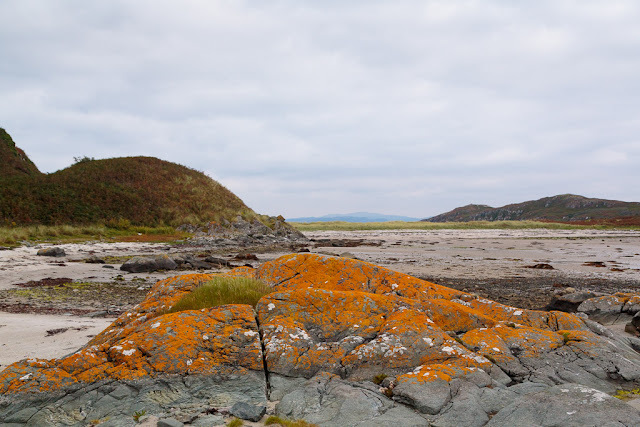 Findings one's niche in the NW of Gigha (by Royal Appointment). 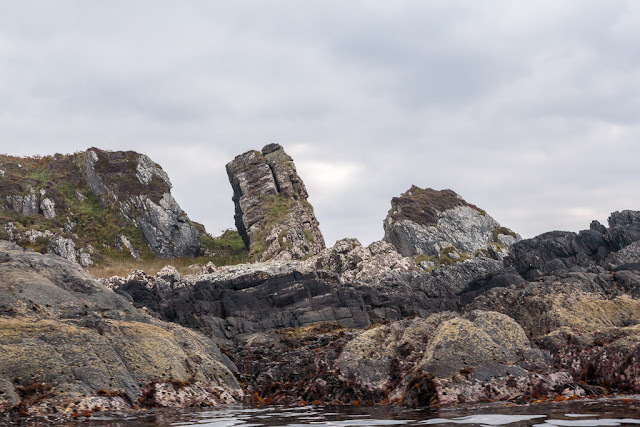 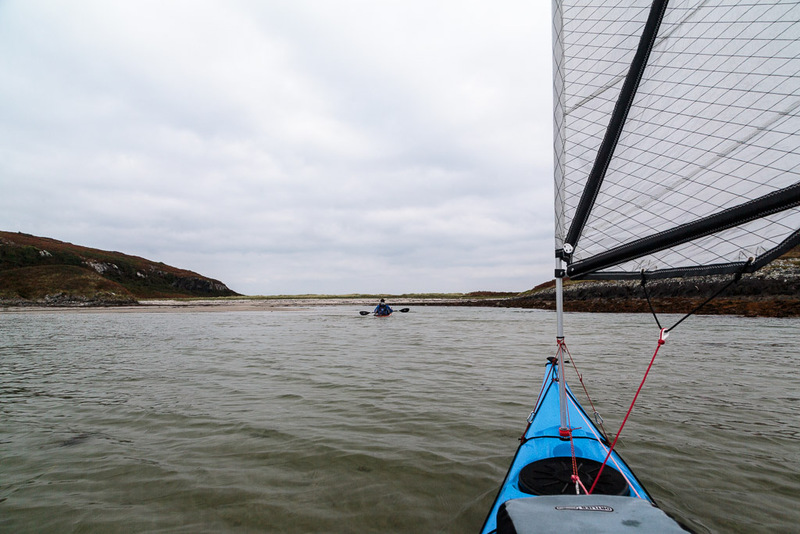 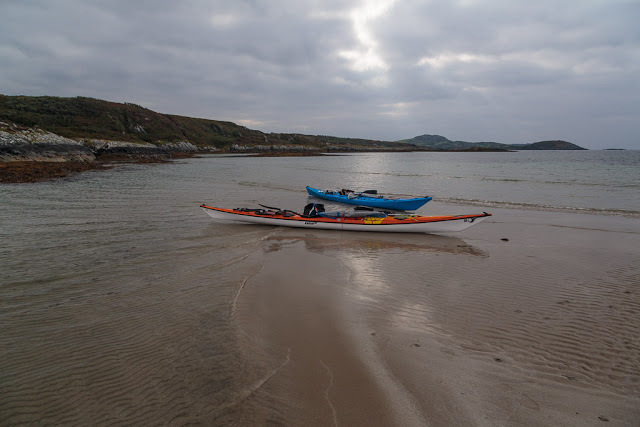 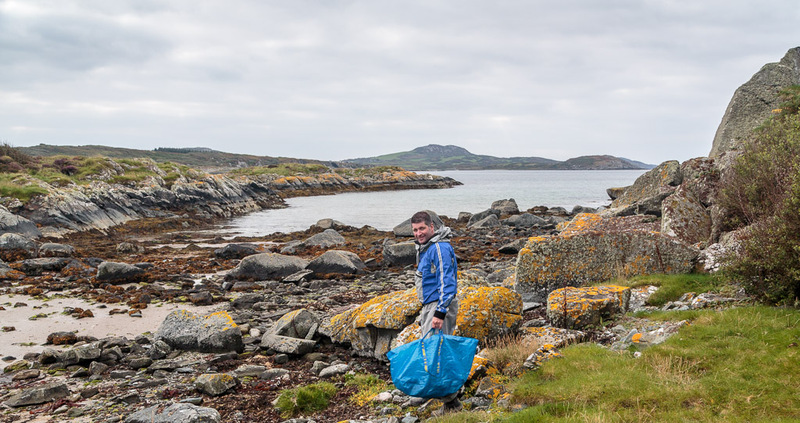 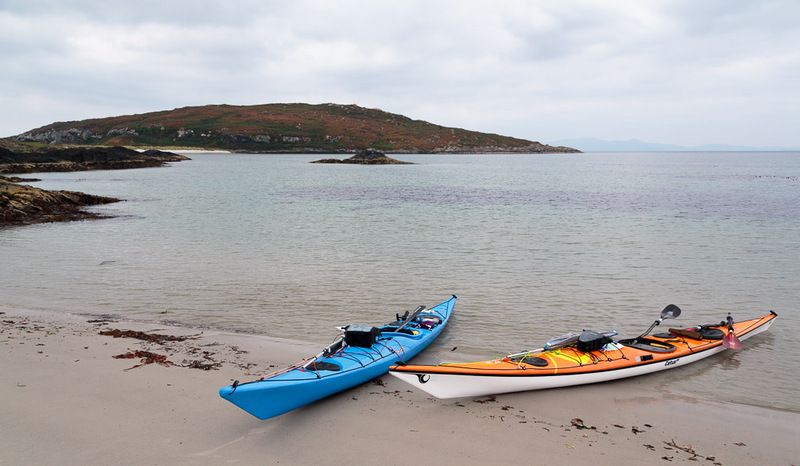 We slipped into Wast Tarbert Bay where the sandy beaches of Camas Naireach (modest bay) lie under the rocky slopes of Creag Bhan which despite being only 100m above sea level is the highest point on Gigha. 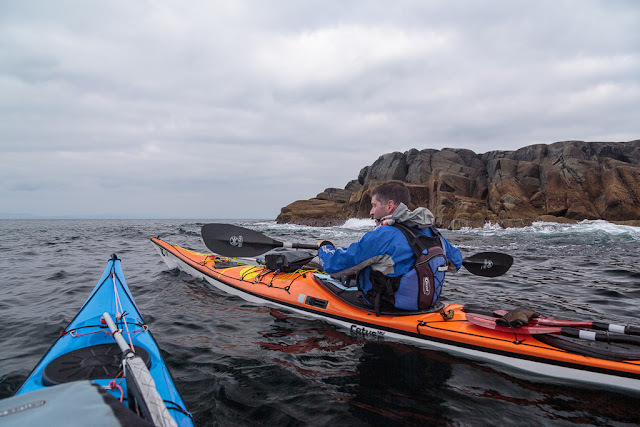 We met several other otters here and you can see a couple of seals trailing Ian. This is the end on view. 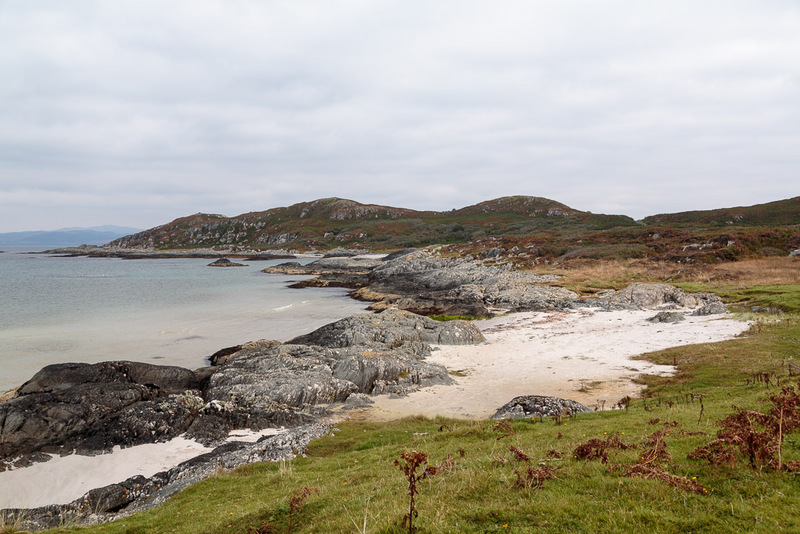 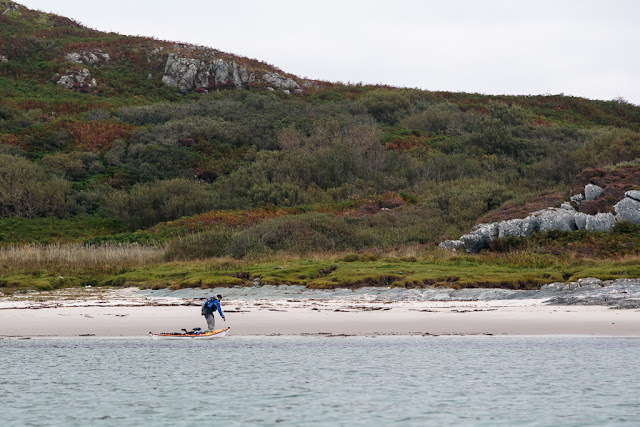 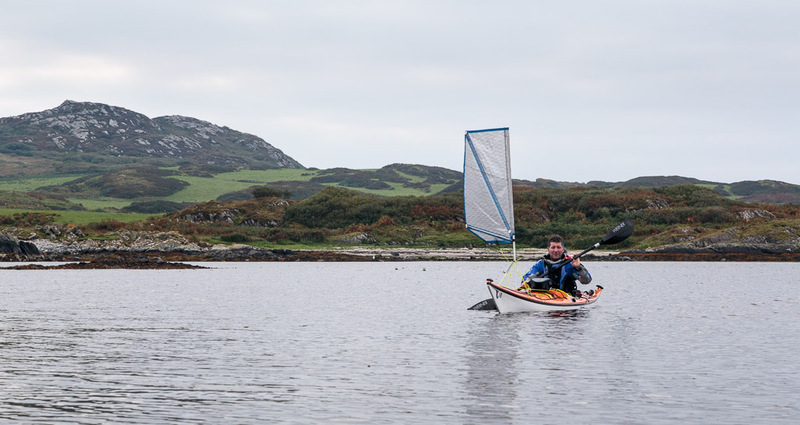 Our journey north took us into the recess formed by the tombolo beach that has formed between Eilean Garbh and the mainland of Gigha. 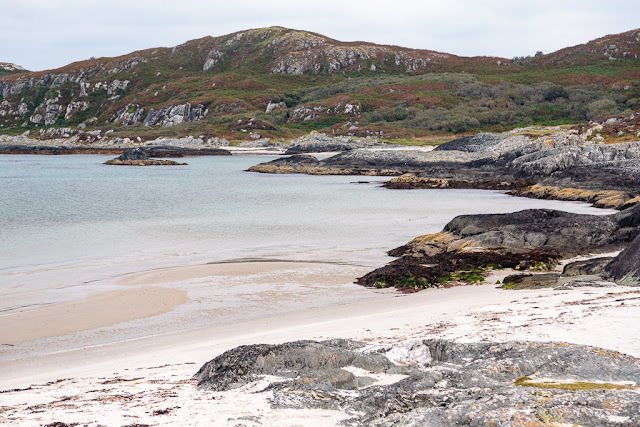 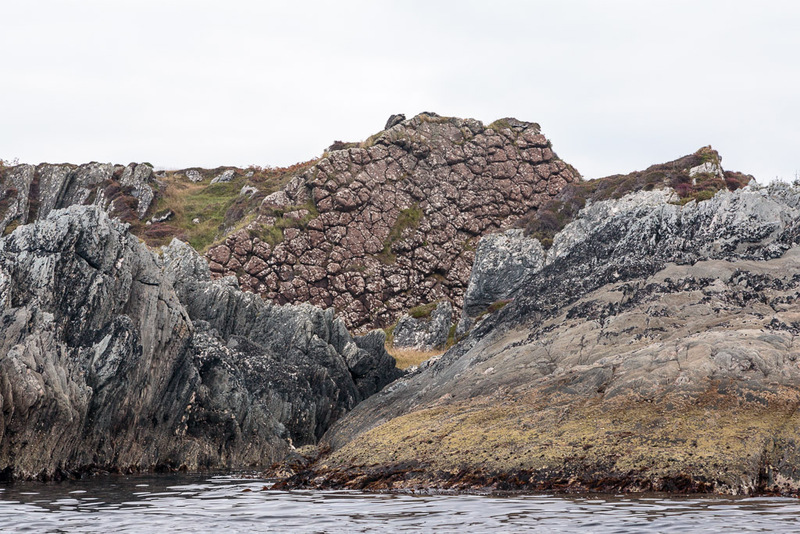 It is a very beautiful spot, favoured by HM the Queen on her visits to the Western Isles on the Royal Yacht Britannia and latterly on the charter MV Hebridean Princess. It was with some reluctance that we dragged ourselves away from the north beach. 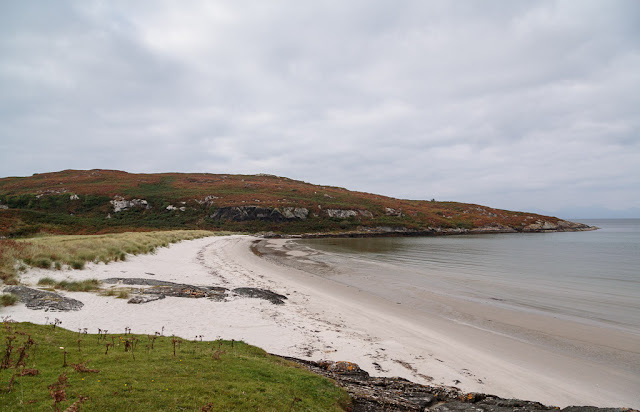 Talking of dragging...rumour has it that somewhere on Gigha a Royal changing box on wheels is in storage awaiting being dragged down to the beach for the next visit by Her Majesty to this wonderful spot. 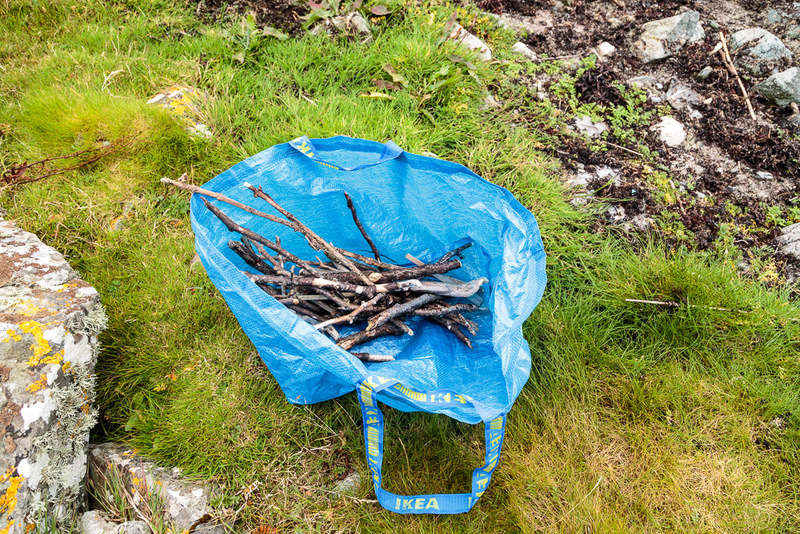 ...we filled with driftwood for the fire once we arrived back on Cara. 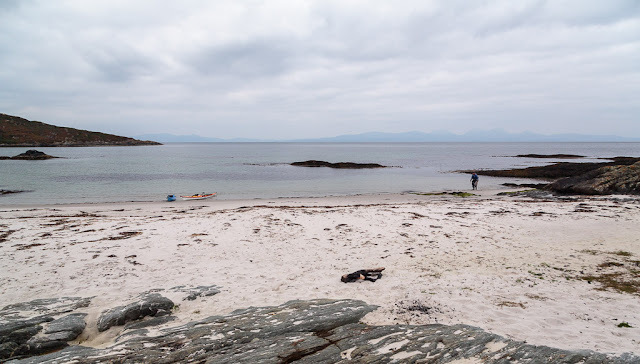 ...gathered more firewood and looked for Groatie Buckies (cowrie shells). As it was such a grey day it did not bring out the turquoise in the water, neither could we see the Paps of Jura. 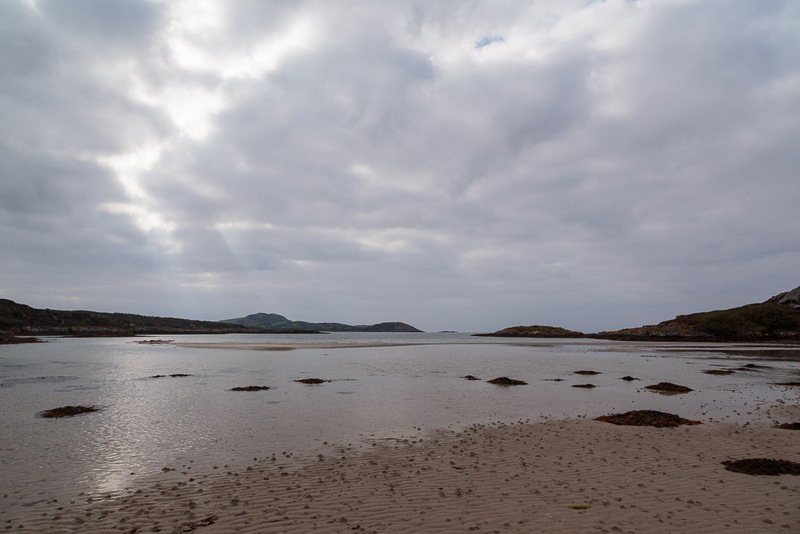 However nothing could detract from the beauty of our situation.